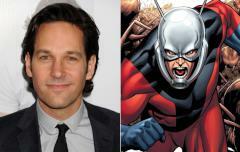 The casting of Paul Rudd in this month’s Marvel comic franchise movie Ant Man seems an inspired choice. Who wouldn’t want to support a ‘give the convict a second chance’ story when a fully certified nice guy like Rudd is playing Scott Lang, the convict who ends up being re-tooled and micro-fitted for superhero service? It must have made sense to the Hollywood suits as well. At a time when comic movie franchises are drowning in testosterone, what other male actor would be more likely to attract the kind of female movie-goers who otherwise wouldn’t be seen dead at a comic superhero movie ? Oh right, Mark Ruffalo. Well, Joss Whedon got him for the last Avengers movie. They got Paul Rudd for Ant Man. Rudd may have been typecast for the past 20 years as the sardonic, sweet-hearted guy who’s also a romantic lead – he’s living proof of that stuff about making women laugh – but he actually has range, too. In Prince Avalanche he was the gruff, grimly mustachioed foil to Emile Hirsch’s free spirit. In Hot Wet American Summer he was Andy, the obnoxious, narcissistic camp counselor. In I Love You Man, he was the dull dog who just wanted to marry Rashida Jones but who –on the eve of their marriage – found himself pressured into going out and finding a male friend of his own, in order to balance out the seating arrangements. In the process, Rudd’s character strikes up a bromance with Jason Segel, playing the best buddy from Hell. But enough of my yakking. This article is a thinly disguised excuse for watching a collection of Paul Rudd’s finest clips – starting out with the immortal ‘ slappin’ da bass’ routine, from I Love You Man, in a scene opposite Rashida Jones. Unfortunately, I can’t embed this clip, so you’ll have to click on this link to get there. And did I say he had range? There are so many Bad Andy scenes to choose from in Hot Wet American Summer, but this brief encounter with Janeane Garafalo is one of the peak moments. Now, things get a little darker, and this next clip – I guess I better say it – is probably Not Safe To Play At Work. 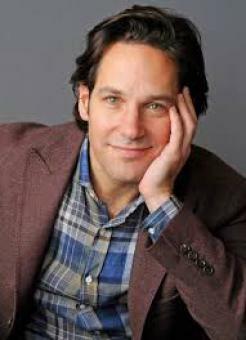 Did I say before that Paul Rudd has range? Actually, Wanderlust was a crap movie, but it contains a mirror sequence that’s one of the most embarrassingly funny scenes in the history of motion pictures. We’re talking something that’s epically David Brent-ish in its male embarrassment quotient. To explain : Rudd’s partner in the film – played by Jennifer Aniston – has just smashed monogamy with a studly male at a commune where they’ve got stranded. ( Don’t ask.) In shock and very much on the rebound, Rudd’s character decides to go down the Free Love Highway as well, but as you’ll see here, he’s hyper-anxious about it to the point of incoherence. Yet not entirely incoherent – thus, the NSFW warning. OK, since I mentioned Mark Ruffalo before, here’s a Nice Guy walk-off between Ruffalo and Rudd, captured live and accidentally, on the red carpet. And….is Ant Man any good ? While the film was in its very late stages of pre-production, the film’s director, scriptwriter Edgar Wright (the guy largely responsible for Shaun of the Dead, Hot Fuzz and the Scott Pilgrim movie) got fired from Ant Man over the usual stuff about creative differences. By general consensus some of the best episodes in the finished film – there’s a sequence involving a child’s bedroom – were Wright’s. Too bad we’ll never know what his version would have looked like. Disappointingly, but perhaps inevitably, Reed never makes the movie his own; much of Ant-Man plays like Reed is just trying to make sense of the notes Wright left behind….And while there are some inspired moments to be found, overall the film is slapped-together; not bad, certainly, but rushed and inarticulate. Jokes never quite hit their punch lines; plot strands are clunky and un-nuanced (even for Marvel). Without any real point of view animating the film, it’s hard to get a sense of why we’re watching this sideline diversion from the larger Avengers narrative….. Ant-Man ends up looking less like a delightfully oddball relative, and more like an also-ran. This is no fault of Rudd, really, who here is as charmingly, wholesomely sardonic as ever; though, I wish the movie let him play things a little looser. He’s saddled too heavily with a boring, who-cares plotline about proving to his ex-wife (Judy Greer) that he can be a good dad to their daughter…. Finally, because the original Hot Wet American Summer was such a hit-and-miss work of sporadic genius that it should never, ever, have been remade – which is an argument we continue elsewhere in this month’s Werewolf, with respect to Point Break – here’s a show reel collection of camp counselor Andy’s worst/best moments. It repeats the plate-tossing moment that I linked to earlier, but that doesn’t mean Paul Rudd doesn’t have range.